It was all about what if's and shocking bullies in Port Charles this week. 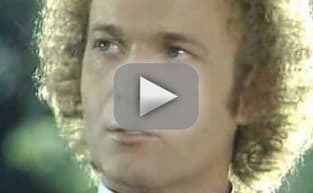 There have been mixed reactions to the stand-alone Sonny episode, where he dreamed of what life would have been like if he had not gone to work for Joe Scully. 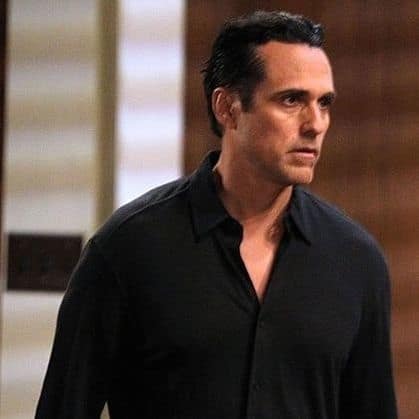 It was a special episode dedicated to Maurice Benard, who recently celebrated 25-years at General Hospital playing Sonny Corinthos. Fans got a bonus when Benard's real-life son Joshua played a young Sonny. Having Sonny be a cop and Dante be the one who got involved in organized crime was perfection. Their relationship has always been rocky at best because Dante didn't respect his father's life choices. As it turns out his oldest son wouldn't have respected Sonny's life choices, even if he had led a cleaner lifestyle. Instead of appreciating his working-class father, Dante was the one who craved the money and power. Having Dominic Zamprogna back as Dante was a gift for fans. He is sorely missed. What an outstanding job he did playing the character as essentially a version of Sonny. Dante's dark, greedy, and power-hungry side was a great twist from his standard squeaky clean image. Related: Get Shudder via Prime Video Channels for Spine-Tingling & Provocative Films, TV Series & Originals! Maurice Benard per usual shined as he portrayed a different take on a character he has played for years. He showed Sonny's vulnerable side and made him much more soft-spoken. The one constant between the two Sonny's was his love for his children. It was unsettling to see Ava with Jason, as well as Sam embracing her mob daughter/wife role. However, it all part of what life would have been like if Sonny never came to Port Charles. I loved how fierce, don't mess with me Anna Devane was turned into a woman just going through the motions of life because Robin died years ago. Learning Robin died of AIDS because there was no Sonny to build a wing in Stone's memory or anyone to help teach her about the disease, was a fantastic shock. Sonny has impacted several people's lives since he came to Port Charles. Robin's death was a perfect example of how his presence has helped those he loves. It was also a fabulous reminder of how much GH has done with HIV and AIDS over the years. In the end, Sonny learned regardless of his life choices there would still be consequences he would have to endure. For example, he still ended up shooting Dante. 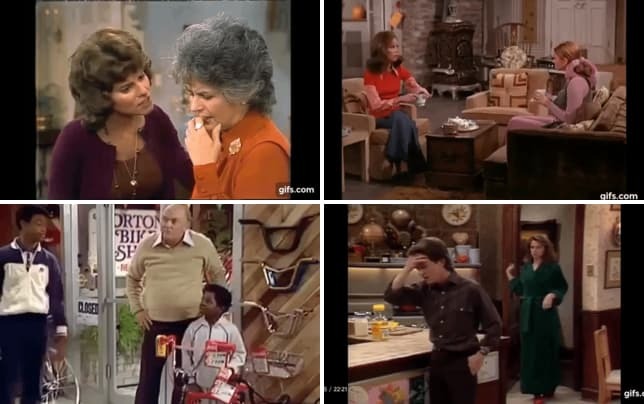 The episode also proved even if Sonny had made a different decision regarding his line of work, it doesn't mean his life would have been better. I thought the episode showed how many people's lives are better because of Sonny's choices. Everyone wonders what might have been, but in Sonny’s case, I think he made the right decision. Then again, I am a huge fan of Sonny, Carly, Jason and the rest of those involved with the Corinthos clan so I might be biased. Related: General Hospital: It's November Sweeps Featuring Murder, Mayhem, Dark Secrets & Regret! Fans have known poor Aiden was getting bullied at school for weeks, but it has finally been revealed that Charlette of all people is the bully. Love the twist that Charlette is a little brat. Honestly, considering what the kid has been through it is no surprise she is acting out. Her stepfather is MIA, her father and Nina split yet again, and she is always in the middle of her parents fighting. Oh, and Spencer has it out for her. None of those are a reason for her to be mean to Aiden but could be the reason for her change in behavior. My favorite scene all week was Nina busting into the private meeting Miss Tate was having with Lulu and Valentin. Seriously, she was so out of line for even attending the conference. I get she loves Charlette, but she is not even married to Valentin, so her attendance should have been vetoed the second she showed up. Jumping to the defense of your child is an immediate reaction for parents, but in Nina's case, she was so out of line. It was also out of character for Nina, which I did not love but I understand why the writers did it. Willow Tate is going to end up being Nina's real daughter. The writers are setting up a turbulent relationship between Nina and Willow, so when the reveal happens they can spend months focused on will these two ever have a mother/daughter relationship. I was impressed that Valentin kicked Nina out of the meeting. I was also pleasantly surprised that he was not the one yelling at Willow. He realized his ex-wife was not acting in the best interest of Charlette and he gets props for that with me. The fact that both Lulu and Valentin listened and sought advice from Willow regarding the right way to talk to Charlette was a perfect example of how parents should react in a bully situation. I am very interested to see how the bully storyline plays out. What will happen when Lulu learns her daughter is bullying her nephew? How will Liz react when she learns Charlette is causing Aiden pain? There is a lot of potential with the storyline, but I wonder how far the writers will take it Bullying is a big deal, and it is excellent that General Hospital is addressing it. However, the writers are dealing with young kids, so they have to be careful how far to push the story. Both Aiden and Charlette have underlying issues affecting their behavior. The question is what are those issues specifically? I am intrigued to find out what is really going on with these kids and appreciate that the young actors are front and center in a vital storyline for once. General Hospital fanatics it is your turn. What did you think of the stand-alone alternate universe Sonny episode? 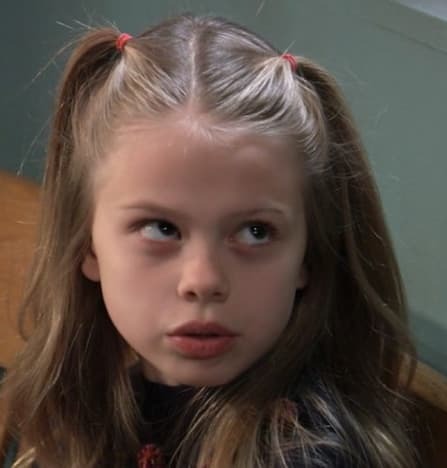 Were you shocked Charlette is the one bullying Aiden? Do you think Nina was out of line in the meeting with Miss Tate? Rachelle Lewis is a staff writer for TV Fanatic. Follow her on Twitter.